· Smart and well mannered. · Making and receiving calls. · Filing, faxing and emailing. · Met and greet clients. 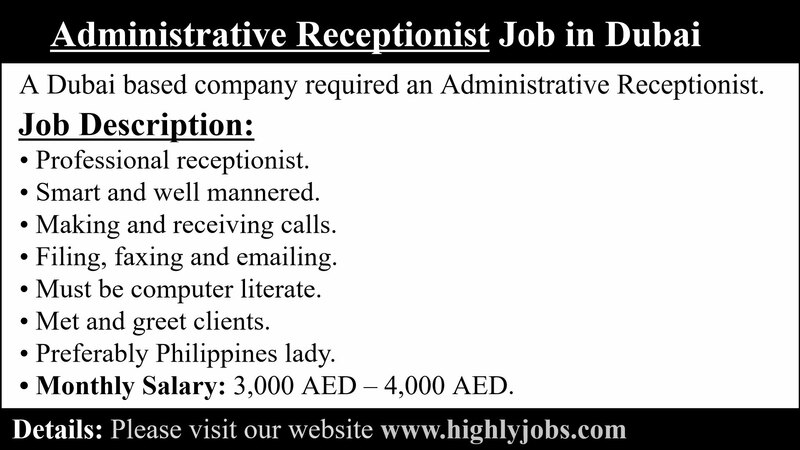 · Monthly Salary: 3,000 AED – 4,000 AED. Please call direct to arrange interview.